TORONTO and OTTAWA, ON (January 10, 2018) – The Canadian Premier League Board of Governors confirmed today the appointment of David Clanachan as the first Chairman and Commissioner of the Canadian Premier League (CPL). Canada’s highly anticipated professional men’s soccer league is set to debut in spring 2019. Clanachan will oversee all aspects of the CPL. Clanachan’s first order of business will be to award official CPL clubs in key Canadian communities from coast to coast. Canada Soccer confirmed membership of the CPL, along with founding cities Hamilton and Winnipeg, at its Annual Meeting of Members in May 2017. Additional CPL communities will be confirmed in the coming weeks. 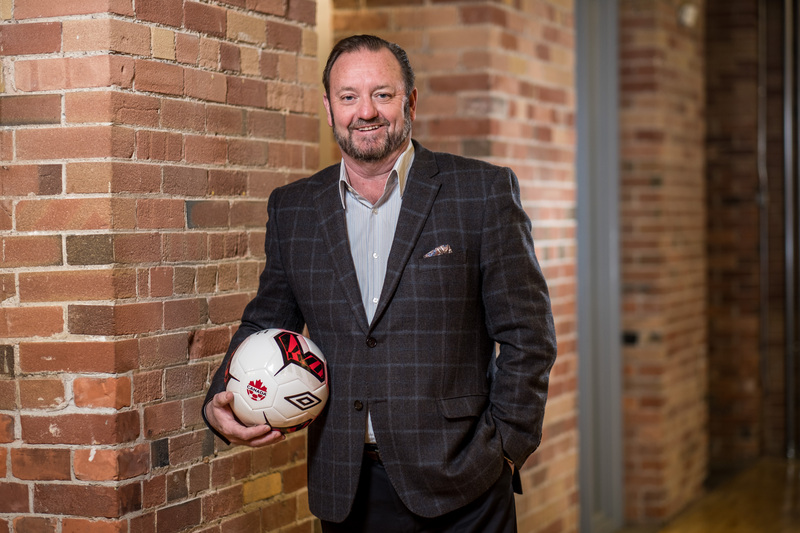 Clanachan will manage the day-to-day operations of the CPL out of the league’s new head office in downtown Toronto. Clanachan is the Chairman of Restaurant Brands International, Canada. Having spent his whole professional career at Tim Hortons, Clanachan was named President and Chief Operating Officer of Tim Hortons Canada in 2014, and has more than 35 years with the brand. Clanachan was a key member of the leadership team that grew Tim Hortons into the iconic Canadian brand that it is today. The Burlington, Ontario native has also been a champion of Tim Hortons’ popular Timbits Minor Sports Program – a grassroots community program sponsored by Tim Hortons Restaurant Owners across the country, which has provided millions of Canadian children with the opportunity to play house-league sports. This includes more than 300,000 Canadian children who play Timbits Soccer every year. A passionate soccer enthusiast, Clanachan has played competitive and recreational soccer his entire life. Known for his “aggressive defending”, Clanachan still takes the pitch every week playing in the Burlington Soccer League. Canadian Premier League (CPL) is a national professional men’s national soccer league set to debut in Spring 2019. Playing in world-class and unique venues, The CPL will bring professional soccer to communities across our great country. The Canadian Soccer Association approved the membership of the CPL and founding cities Hamilton and Winnipeg at the 2017 Annual Meeting of Members in May 2017. The CPL has intentions to partner with strong community-led ownership groups to bring professional soccer to Canadian communities from coast to coast.